Port Elizabeth, known around the world as the “Friendly City”, was the site of the annual congress of the Southern African Research & Innovation Management Association (SARIMA) this past week. Having just celebrated its ten-year anniversary, SARIMA brought together university managers, technology transfer officers, and representatives of national research agencies. Key sponsors of the event included the Industrial Development Corporation, Technology Innovation Agency, National Research Foundation and National Intellectual Property Management Office. One of the highlights was a keynote lecture delivered by Marina Joubert of Southern Science entitled “Quality science deserves quality communication”. Her basic thesis was that researchers have an obligation to make their science accessible to specific audiences, to enhance understanding and thereby elicit a desired response. “People connect more easily with the human and emotional side of science than with hard facts”, she said. “Liven up the story with metaphors and imagery”. As an example of the power of good story telling, Joubert described the impact of a short article that recently appeared in The Argus, a local Cape Town newspaper. The story was about the work of Leon Dicks, a professor of microbiology at Stellenbosch University, who had developed a new wound dressing for treating young burn victims. A woman on her way to the UK picked up a free copy of the newspaper and read the story on the plane. As soon as she arrived in London she called Dicks and as a result he was offered a grant of $4 million to support his research programme. Another session at the SARIMA conference focused on the medical device industry in which CapeRay’s CEO, Kit Vaughan, delivered an invited lecture entitled “Commercialising medical devices: the challenge of certification”. He answered two basic questions: How long did it take? and, How much did it cost? Vaughan then explored various strategies to reduce both the time (two-and-a-half years) and the cost ($120,000). These strategies included: speaking to other medical device companies that have already been through the process; purchasing an off-the-shelf package from 13485store.com; using consultants judiciously; selecting a simple product for the first CE Mark; and ensuring every employee understands and is an integral part of the certification process. Networking is undoubtedly one of the reasons for attending conferences, but a major benefit is the exposure to new ideas. 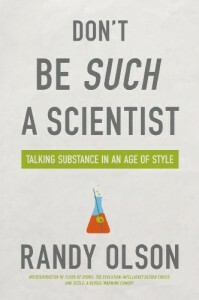 Joubert invoked the philosophy of Randy Olson, author of Don’t be Such a Scientist, who defines stories as facts wrapped inside emotions. An excellent background read for all scientists is book of the year in the physics world “Quantum Man” by Lawrence M Krauss, pub Norton, the story of Richard Feynman, one of the greatest scientists in the post Einsteinian era to set the scene for today’s research.